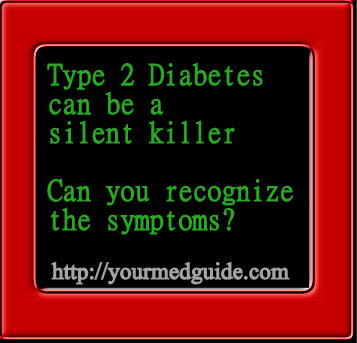 Home Conditions and Diseases	Do You Have Type 2 Diabetes? That almost sounds like “do you have the time” or “do you have change for ten bucks”, doesn’t it? Except Type 2 Diabetes is not at all funny. I am stunned to learn that more than 62 million in India are diabetic and 1 in 2 of them don’t know they have it. By 2025 this number is expected to escalate to 80 million when India will be crowned Diabetes Capital of the World. Not a nice thing. Certainly not a title to aspire for. It is easy to prevent diabetes by eating healthy, being physically active and managing your maintaining a healthy weight. Being conscious can avoid serious health problems related to diabetes in future. Did you know that diabetes is a lifestyle disease? It is a silent killer just like hypertension. In fact, the two have a close relationship. I often joke that diabetes is like a politician. It triggers a lot of health issues like kidney trouble, high blood pressure, which in turn start of other health issues – and then sits back and watches the fun. So do you have type 2 diabetes? Don’t look at me like that. The thing is, it is not easy to identify. It is very possible that it lurks and you have no idea you’re carrying it around. Scary, isn’t it? If you want a healthy lifestyle, lifestyle changes are mandatory. So early detection is key. How? What are the symptoms to watch for? I read that more than 24 million people in the US have it but only 18 million are aware. and 90% of these suffer from type 2 diabetes. The tricky thing about diabetes is – the rising blood sugar is like poison. And the symptoms are easy to miss. The best way to find out is through a blood sugar test, obviously. But here are some symptoms you should watch for. If you suspect one or more of these, it is time to get professional medical help. If you find yourself rushing to the washroom frequently, especially at night, this could signal diabetes. What happens is this: the kidneys work overtime to get rid of the extra glucose cruising through the blood. so you feel the need to relieve yourself often and sometimes more than once at night. Why are you thirsty? Your body is trying to replenish those lost liquids. So frequent trips to the washroom and thirst are two symptoms that show how your body tries to manage the high blood sugar. The kidneys, in the meantime, work overtime to get rid of the extra sugar and this results in a loss of calories, naturally harming the kidneys.. These processes are energy intensive and a calorie deficit is created. Those excessive pangs of hunger are a sign of diabetes and are caused by the extreme highs and lows in the blood sugar levels. When blood sugar levels dive, the body thinks it hasn’t been fed and craves more of the glucose that our cells need, to function efficiently. Itchy skin, maybe dry skin, or even poor circulation can be a warning sign of diabetes. Other skin conditions include acanthosis nigricans where the skin darkens around the neck or arm pit area. People with this symptom already have an insulin resistance process happening, even though their blood sugar may not be high. Feel these symptoms? Check your blood sugar levels right away. If you have an infection, a cut, bruises, and other wounds that don’t seem to heal easily this is a classic sign of diabetes. This happens because the blood vessels are being damaged by the overdose of glucose in the veins and arteries. This makes it difficult for blood, which promotes healing, to reach different areas of the body. This one is awful. Diabetes is considered an immuno-supressed state and this opens you up to a number of infections, although the most common are yeast or candida and other fungal infections. Fungi and bacteria are happy in sugar rich environments. Talk about a vicious cycle. Women must especially must watch out for vaginal yeast infections. When people suffer from high blood sugar levels, based on how long it has been, they can get used to not feeling well. This is a critical sign. Imagine getting up so many times to go to the washroom at night – this would make just about anyone tired, right? And all the extra effort your body has to make to compensate for the glucose deficiency can drive strong people nuts. Tiredness causes irritability. If your blood sugar has been really high, it is when it is brought down that you realize how bad you felt. Eyesight is a major thing. Distorted vision or occasional flashes of light are all thanks to high blood sugar. Blurry vision is a refraction issue. When glucose levels are high in the blood it changes the shape of the lens. Luckily the symptom is reversible once blood sugar levels are back to normal or near normal. But if blood sugar is unchecked for long periods, the glucose can cause permanent damage and maybe even blindness. That is not reversible. The hands and feet feel numb or you experience a strange tingling along with burning and swelling. These are signs that your nerves ar being damaged by diabetes. If the symptoms are recent, maybe they can be reversed. But like vision if the blood sugar is unchecked and ignored, neuropathy or nerve damage can become permanent. That is why blood sugar must be controlled as soon as possible. A number of tests are used to check for diabetes. But one test is not enough on its own to check and diagnose it. The test must be repeated. One is the fasting plasma glucose test that checks your blood sugar after a night or eight hours of fasting. blood glucose that exceeds 126 mg per deciliter mg/dL on two occasions indicates diabetes. The normal value is 99 mg/dL while a blood sugar level of 100 to 125 mg/dL is prediabetes, which is a serious condition by itself and needs quick action. Take care of yourself, and stay healthy! Type 2 Diabetes is indeed a scary disease. It gets out of control so very quickly! Thank you for these quick tips and awareness. Its important to know what’s happening to our bodies and even the smallest of irregularities causes problems on a larger scale! Have seen my aunt struggle with Diabetes initially and then she adopted a healthy life style and managed it really well. Thanks for sharing about this disease! My mother is a Type 2 diabetic for the last two and a half decades. She’s on insulin thrice a day now. I am on the border since last 5 years. I haven’t started taking medicines (even though doc had suggested that I should)but I’m controlling via my food habits and a bit of walking. My doctor is surprised to see my reports, because though not normal, but I have managed to maintain the fasting sugar levels beneath 120 mg/dL (normal is 80-100 mg/dL). Symptoms for me were excessive urination and UTI. It is a hereditary disease but can definitely be controlled through food habits and exercise. The earlier you start taking medicines, the faster you’ll end up on insulin. Very informative post this is. I THINK DIABETES IS HEREDITARY? Yes, Kalpana. But it is also a lifestyle disease. 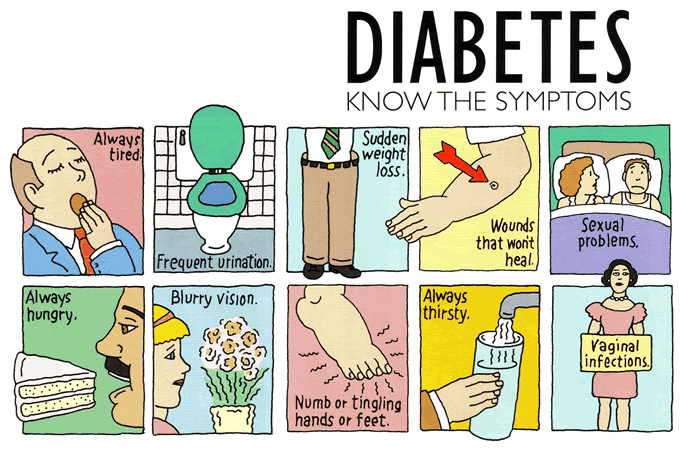 Great information regarding Diabetes type 2. A lot of people are suffering from diabetes and the main cause is overweight, so it’s quite crucial to control your body weight. This way you’ll be able to reduce the chances of having diabetes plus other health issues as well. Thank you for your comment, Bharat! Sometimes it is sad to think the killer diabetes can be a lifestyle disease! A healthy weight is a health benefit in many ways!